For "Brokenhearted": What is Happiness, Anyway? For “Brokenhearted”: What is Happiness, Anyway? 1. Feeling or showing pleasure or contentment. 2. Having a sense of confidence in or satisfaction with (a person, arrangement, or situation). I’ve often wondered on my trips around the sun how happiness looks in the eyes of others. Is happy and adjective or an action outside the dictionary? I have to admit, I am in a contemplative mood that is elevated by a surprise visit of a sister I haven’t seen in over a decade, Patricia and her new husband. Surprise, I am one of eight kids to my parents. We’re an odd family at best, but I admit freely that it’s an honor to have them coming to our home. Life is going so well that it’s almost scary. It’s good. People comment “how did you find peace” every time that I say “this is the happiest time of my life, full of promise and love.” It’s odd to me that it followed one of the darkest chapters, the hardest of the hurricanes that have landed on my shore. It didn’t start to be the best year of my life, but in the bittersweet light of finally being safe from further harm, I have found a taste of real life, love and freedom. I’ve found that one thing I was missing. I really do like me. I was worth so much more than what was hurting me. I know it’s an odd thing to say, but being emotionally dragged through hell will make you ask that question, for all of you in relationship recovery. Self discovery is a bonus of trying times, being refined by the fire. Is that happiness? When you can look in the mirror and be content with the woman or man that stares back at you? When you can roll with the days of life and experience a selfless joy helping others, simply being, participating…being you? Beloved, I’m not going to repeat the dozens of articles that precede this one – but this might help. You are not in a relationship with this person – nor are they with you. Break the tie, don’t look for his call, his text, his life. Never respond to his pathetic attempts to control you. Let him live his life. I’d bet just like my former flame, he’s a lying POS. Partial truth is still a complete lie, sweets. Change yourself to no longer be available to his emotional abuse – because that is what you’re describing. You, love, are in the “contingency plan.” When he’s bored, you’re still there to screw with. Maybe he doesn’t think of it that way, but it’s still true. You will be happy when you decide that you’re able, that you’re worth more than your current situation, and that this person you have left behind needs to stay right there…in the past. Say “no.” I know it’s terrifying. I remember how I thought the love of my life could never diminish in my eyes…until after months of getting stronger, making a new life, I saw him. He was....less. Less everything than I remembered. We’re talking nearly pathetic. He was a mere shadow of what I imagined him to be, once I didn’t put so much trust, faith and love in him that he never deserved. I know how you feel with the constant turmoil of someone that is emotionally abusive. It’s time for you to realize that you never signed on for that, even though you slipped into it. You’re not alone. It’s that question that leads people to THM more often than not. You do it like anything else, one real step at a time. When I finally realized that love isn’t supposed to hurt so much, I found a bit of freedom. When I asked myself what I really wanted in my life, the list didn’t look like the person that was the pain in my heart. What I want? Real love. Stability. Romance. Selfless desire. Enduring passion that sees me for who I am. A partner that wants to pitch and catch ideas, that is just as smart as I am – and that is a tough order. Someone that never gave up. All in, no drama. What does your list look like? Don’t start with what you don’t want….begin building on what you do need, what you expect. Find the positive in the life that you want to lead, a road map of sorts and don’t compromise. You compromise on the important things – honesty, integrity – you’re going to wind up having kids with a monster…and then you’re stuck. I was doubly fortunate that the person who has loved me life long, Brian, was here when my controlling, abusive person took that final swan dive into my past. And that was the beginning of the end, as they say. Every day I am stronger, more whole, more sane, more at peace with myself. I found that I wasn’t as broken as my feelings were leading me to believe. Some suggestions for you, for all of you that are stressed in any way by a life that has been tough lately. 1. Listen to uplifting music that speaks to your life. I don’t listen to Christian music, but if that works for you, do it. It distracts me from doing the hard work of sorting through my problems. 2. Eat clean, whole foods, sleep at least 8 hours a night, drink lots of clean water, get out an move. Don’t stay in the indoors, move in the clean fresh air. 3. Clean your whole house and rearrange it to suit your new mood and style. Get rid of stuff that reminds you unless you really like it on your own – then change it up. Be creative. 4. Change your look. Go on a shopping binge at Goodwill and change it up. Be that man or woman that is inside you, and don’t seek outside approval. 5. Know that this person isn’t really the world. It’s just a person. You’re the only one that you can’t live without. Be willing to be excited about launching out into the deep. You have to know that you are whole in yourself, and live up to your potential. 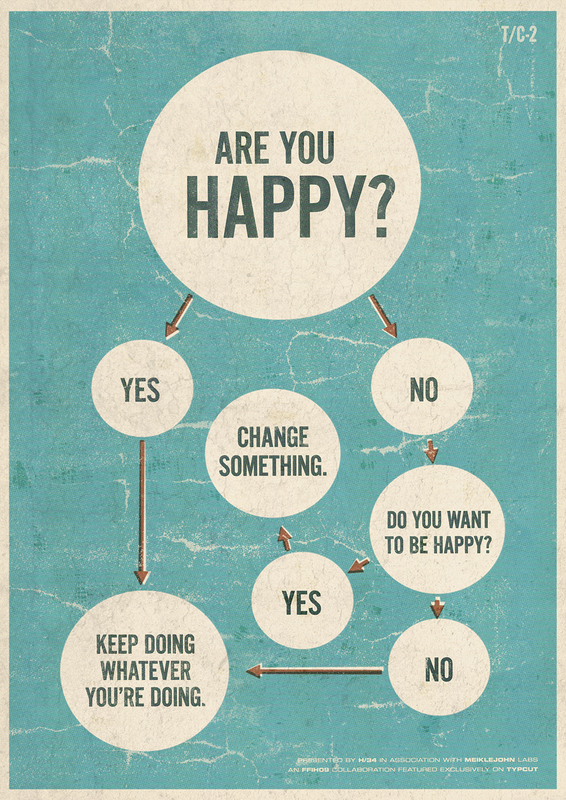 No one “makes you happy.” You choose when and where you are happy. 6. Tell the truth. It’s just a lot easier to call the spade a spade. Reality says that when life is down, you’re a willing target to be even more hurt by a person that devalues you so easily. Love doesn’t hurt, doesn’t hit, doesn’t lie, doesn’t cheat. 7. Expect great things. Study the Laws of Attraction, know what it is that you really want in life. This is a great time to set goals and become that person that you’ve always wanted to be. There is no time like now to live that fulfilled life. Give to people who can receive in love; receive from those who give in life. Be willing to be happy. It all starts there.